Yesterday, while I was on my vacation, I was photographing one thing – when something else caught my attention. 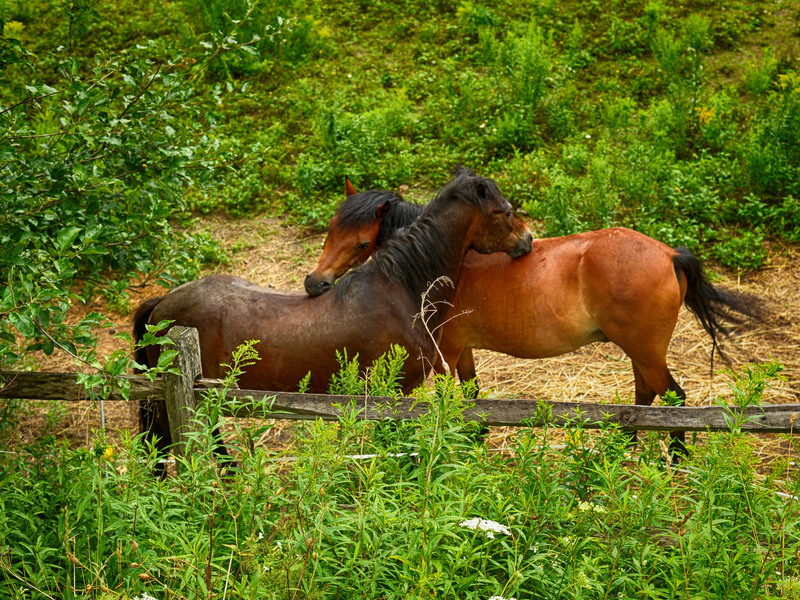 Two horses on a farm. And for an instant, before I lost the chance, I swung to my right and squeezed off this shot. So to you, my dear readers … can you give me a good caption to use for this picture? And I’ll see if I can get more shots like this in the future. Have you ever gone down into the Schoharie Valley? Climb Vroman’s Nose while near Middleburg.